This is my entry photo for the National Geography International Photography Contest in 2009. 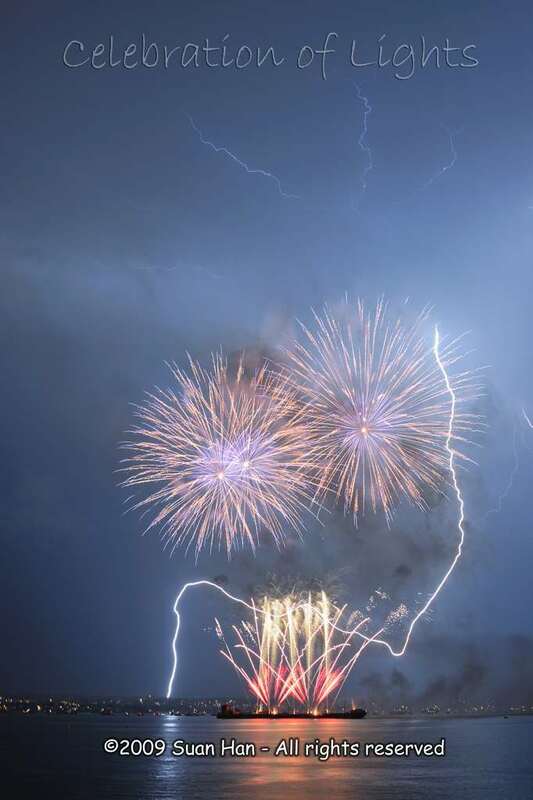 This huge lightning strike was captured during the "2009 Celebration of Light" fireworks competition, on the night of the fireworks displayed by South Africa team on English Bay, Vancouver. It was raining and there were multiple lightning strikes throughout the night. This amazing pattern of lightning happened during the first five minutes of the fireworks, and was phenomenally captured in the frame during the long exposure. Two sources of light, one celebration.